Get ready to make some room, Rockstar Games has announced in a Q & A that GTA V will require an mandatory install on consoles. The Xbox 360 will come with two discs: an install disc and a disc to play the game on. Once Xbox 360 players install the game they only need to use one disc to play the game. The PS3 version will come with one disc. On both consoles, the install will take up about 8 GB of space. When you’re not on a mission, you can freely switch in real-time to any of the three characters to drop in and out of their lives letting you see what they’re up to. And because they have their own schedules, you’ll never know what they might be doing – you might drop in on Michael in the middle of a family dispute, interrupt Franklin chatting up some ladies, or Trevor on the run from the law – or whatever else these guys do in their free time… How and when you switch between characters when you’re not on a mission is completely up to you. Having found them, (or simply after calling them up and arranging to meet them), you’ll certainly be able to hang out with them, annoy them should you choose, and maybe even assault them, but you won’t be able to kill them. They all have remarkable powers of recovery and good health insurance. 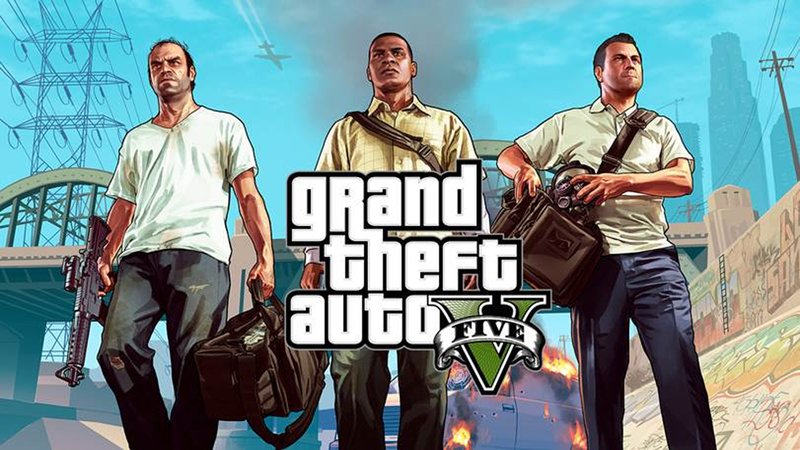 Grand Theft Auto V comes out September 17th.